He’s speeding across the field towards his opponent. Weaving in and out of the other players on the field, he closes in on the enemy at over 8 meters per second. Ground reaction forces of several times his bodyweight resonate through his body like thunder with every stride. His legs act as stiff springs to propel him forward, when suddenly his head whips back and he lets out a roaring scream. Grabbing the back of his thigh, his body hurls forward and he rolls across the pitch. It’s as if a sniper, tucked away high up in the stands, has shot him down. The crowd gasps as the trainer runs onto the pitch to assess the damage. After a couple minutes of tests and palpations, the trainer helps him to his feet and becomes a human crutch as he limps on one leg to the sideline. By halftime ESPN is reporting that he suffered a hamstring strain and will miss at least the next 17 days of play, leaving his teammates vulnerable as they head into the next few weeks of competitions. Hamstring Injuries are one of the most common injuries in sports, particularly in those with a high rate of sprinting, jumping, and kicking. Among the most injury-prone sports are English professional soccer, Australian football, English Rugby, and American football. Yet, since sprinting is a commonality shared among all field and court sport athletes, it would not be out of line to say that hamstring injuries are a significant threat to any of these types of athletes, regardless of any jumping or kicking requirement. 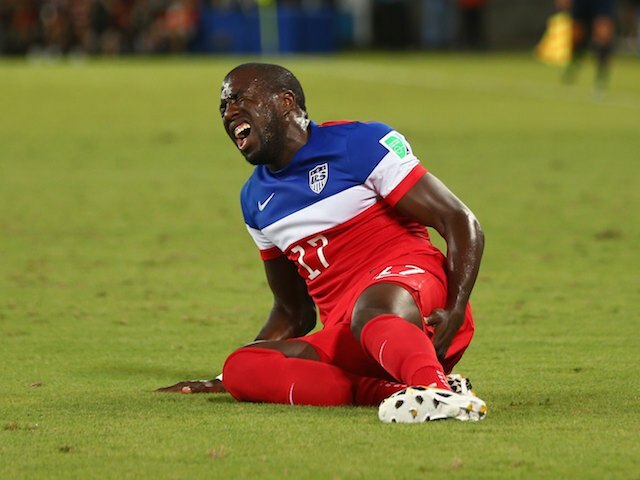 But why are hamstring injuries so prevalent in these sports? Is it a lack of strength, or poor sprint mechanics? Or is it simply just a result of inadequate flexibility? Whatever the cause, hamstring injuries are not going away, and what is even more alarming is the probability of re-injury once an athlete experiences an initial strain. A re-injured hamstring can result in even longer recovery times than the first. It is of critical value for coaches and athletes to understand the very nature of hamstring injuries and how they can be prevented. In a nutshell, hamstring strains come in three forms, or degrees. Grade I strains are classified as mild with very little tear and little or no loss in muscular strength. Grade II strains are moderate with slightly more significant tearing and a noticeable loss in muscular strength. Grade I and II strains are the most often occurring strains in sports. Grade III strains represent a severe strain with a complete tearing across the entire muscle, with a loss of function to the muscle. The hamstrings consist of three polyarticular muscles (muscles that cross and act on more than one joint) called the biceps femoris, semitendinosus, and semimembranosus. All of these muscles originate at the ischium and insert below the knee on the lower leg. As a group, these muscles work in synergy to both extend the hip and flex the knee. However, individually, they each have slightly different responsibilities. Because the biceps femoris inserts laterally on the head of the fibula it also contributes to lateral rotation. Both the semitendinosus and semimembranosus attach medially to the tibia; therefore they contribute to medial rotation. Immediately following foot strike, a peak knee flexion and peak hip extension moment occur, suggesting that the hamstring muscles are in concentric contraction (Liu et al, 2012) . However, prior research did not support the idea that the large forces following foot strike are necessary to cause hamstring strains. Rather, research has shown that hamstring injuries largely occur during the late swing and late stance phases of the running cycle, when the hamstring is undergoing an eccentric contraction. The list of modifiable and non-modifiable risk factors for hamstring injuries is both extensive and lacking in valuable data. Modifiable risk factors include strength imbalances, inflexibility, improper warm-up, fatigue, and bad posture, among others. Non-Modifiable risk factors are age, race, muscle composition, and previous injury. There is little consistency in results when these risk factors are studied, leaving coaches and athletes with little help regarding how to prevent hamstring strains. Despite animal studies, surveys, anecdotal, and theoretical studies coming up some-what inconclusive, here are some common-sense training considerations. Warm-Up. It is important to start any training session with a proper warm-up. A proper warm-up prepares the athlete both physically and mentally. It raises the body’s core temperature, increasing both muscle viscosity and tendon elasticity. Finally, it provides an increase in nervous system conduction velocity. The warm-up should be dynamic and specific to the demands of the session. However, it is also the perfect time to address the biomotor abilities that may not be emphasized in the upcoming training session. Mechanics. Correct sprint mechanics should be at the top of the priority list for any athlete that requires high speed running in his or her sport. Poor running mechanics can most certainly lead to injury, therefore it should be emphasized every training day. This is achieved through speed training in which quality of movement is of primary concern. Power speed drills can be another great set of tools to promote good running mechanics, and can be trained in several different ways. They can be done as part of the dynamic warm-up before a training session, or they can even be done extensively in place of tempo to not only emphasize good mechanics but also increase work capacity. Strength/Power training. No matter the type of contraction emphasized, getting stronger improves acceleration, power, and running economy, and reduces the probability for injury. Strength can be trained using multi-joint movements using a barbell, dumbbells, medicine balls or even bodyweight for general strength. Plyometrics are another way to increase power, though caution must be used when implementing this form of training. Proper mechanics at appropriate volumes must be considered. Flexibility Training. The goal in flexibility training is to increase the body’s capability of moving through full ranges of motion, both unrestricted and without pain. Though often associated solely with static stretching, adequate flexibility can be achieved through several other forms of stretching such as dynamic, proprioceptive neuromuscular facilitation (PNF), assisted, fascial, and mobility. This list represents extremely generalized concepts on how to increase performance while subsequently decreasing the likelihood of injuries. Further mastery of all four is critical for any serious coach or athlete. By now, it shouldn’t come as a surprise that because hamstring strains occur mostly during the late swing and late stance phases of running, while the muscle is eccentrically contracting, that eccentric strength plays a significant role in their prevention. Stay tuned for part 2 of “Sniped” – The war on hamstring injuries, where I will discuss eccentric training in detail, as well as provide examples of exercises that can be used to increase eccentric strength, with the ultimate goal of reducing hamstring injuries in mind. Calais-Germain, B. Anatomy of Movement. Revised ed. Seattle (WA): Eastland Pres, Inc.; 2007. p. 242-244. Coyle. “Design of a soccer training session based upon the physiological match demands of competitive soccer”. 2000. Liu, H., Garret, W., Moorman, C., Yu, B. Injury rate, mechanism, and risk factors of hamstring strain injuries in sports: A review of the literature. Journal of Sport and Health Science 2012;1(2)92-101. Smith, J. Applied Sprint Training. 2014 p. 64-67. Van der Horst, N., Smits, DW. Petersen, J. Goedhart, EA., Backx, FJ. The preventative effect of the Nordic hamstring exercise on hamstring injuries in amateur soccer players; study protocol for a randomized controlled trial. Inj Prev. 2014;20(4). Young, M. Off-Season & In-season fitness training for football (soccer). Sports Surgery Clinic Soccer Conference. Dublin, Ireland. 2014. What’s up mates, its great article concerning cultureand completely defined, keep it up all the time.